Britain was the first country to recognise art therapy as a profession in the state health service. How did this come about? Can the British experience serve as a model for other countries? 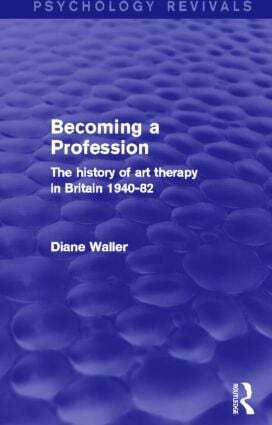 Originally published in 1991 Becoming a Profession is the first comprehensive history of art therapists in Britain and of their struggle for professional recognition. Diane Waller discusses the work of the founding art therapists of the 1940s and 1950s and assesses their contribution in detail. She also puts art therapy in a political context, showing how the British Association for Art Therapists worked closely with the trade union movement in its campaigns to get professional recognition. Fascinating reading for all practising art therapists, art therapy teachers and students, Becoming a Profession will also be relevant to anyone interested in the formation and development of professions.